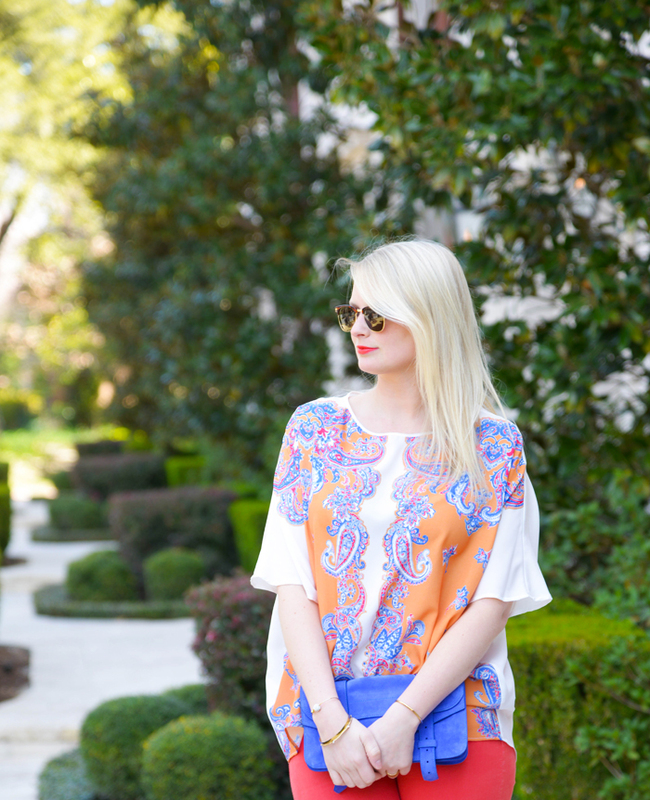 I recently acquired this colorful Clover Canyon piece during the Shopbop sale last week and have already figured out a million ways to wear it. 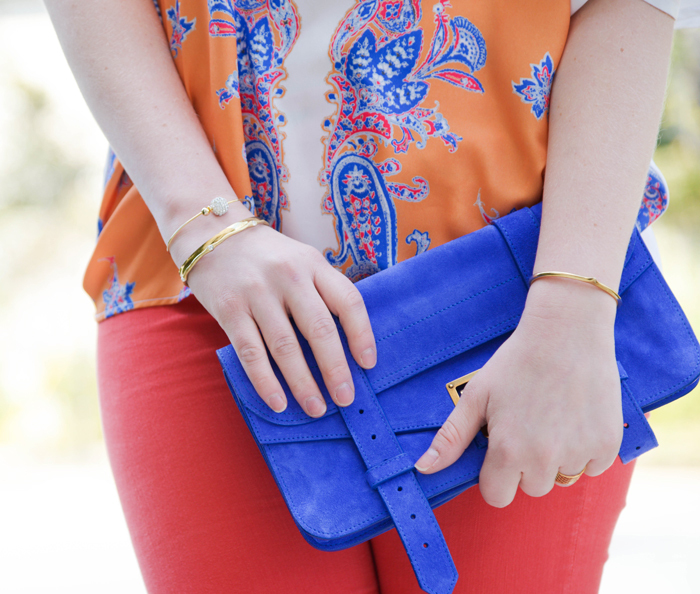 For example, on my Bahamas trip I plan to wear it with my cutoff shorts and flat sandals for day trips in town, white jeans and mirrored pumps for a night out, and to be super matchy-matchy I paired it with my old light red Rag & Bone jeans + cobalt Proenza clutch here. To sum it up, this top a great spring/summer basic that looks amazing with pretty much anything. That’s all I’ve got for this week folks! Tomorrow I’m headed to the Bahamas for a family vacation (or as I like to call it, Adult Spring Break). Expect tons of pictures next week of beach life! Have a great weekend! Amazing look. I know you want me to look at the parsley top but i can’t get my eyes off the Proenza Schouler clutch. Love it! 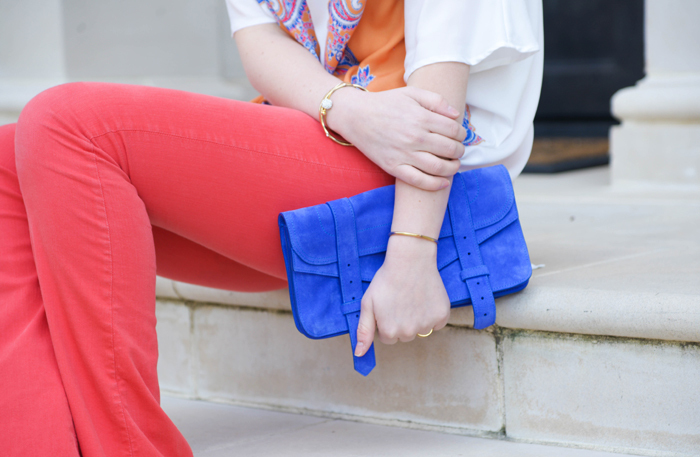 love the jeans and blue clutch!! I love this top! I want everything Clover Canyon for spring! Clover Canyon is amazing! I want it all. 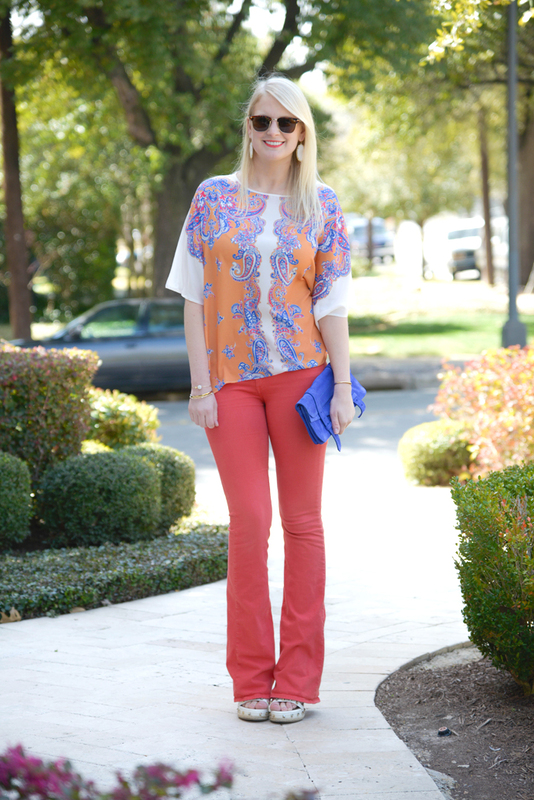 I’m always a fan of a bright paisley, this top is so fun! 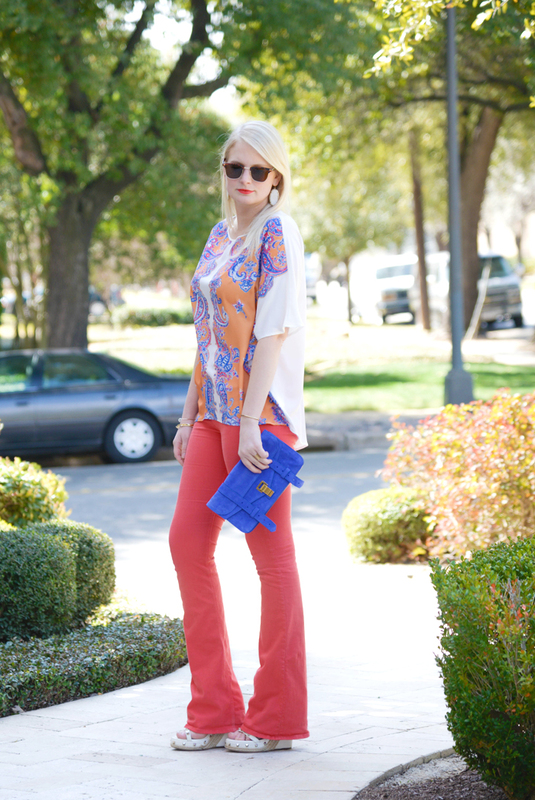 love the color on that clutch! so jealous of your upcoming bahamas trip. can’t wait to see pics. Just came across your blog! Great photos & style.